The meeting point between humans and their surrounding environments has become one of the most contentious points in architectural design. The restrictions on altering existing sites are growing tighter and people are increasingly seeking a more holistic relationship with their surroundings anyway. But despite our desire for natural light and beauty, every design needs to balance this with the need for privacy. So, on homify today we are going to explore 9 dazzling ideas for designing with nature. We will cover both extravagant homes and more humble abodes. So, no matter what kind of property you have, you are sure to find something here to inspire! 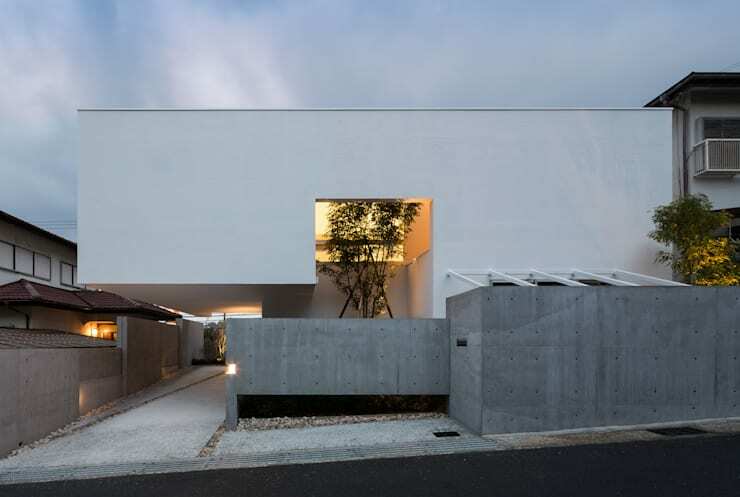 This concrete home does not have a single front-facing window, but oh, what a beautiful facade! The large tree we see in the centre has been partially enclosed on three sides. This allows for the occupants to enjoy the natural view, without sacrificing one iota of privacy. Natural features don't always need to be outside—or even living! Consider how you might incorporate the lovely organic lines of nature into your design. You might even build a wooden platform around a few branches like this. For some reason we often think small when it comes to houseplants. 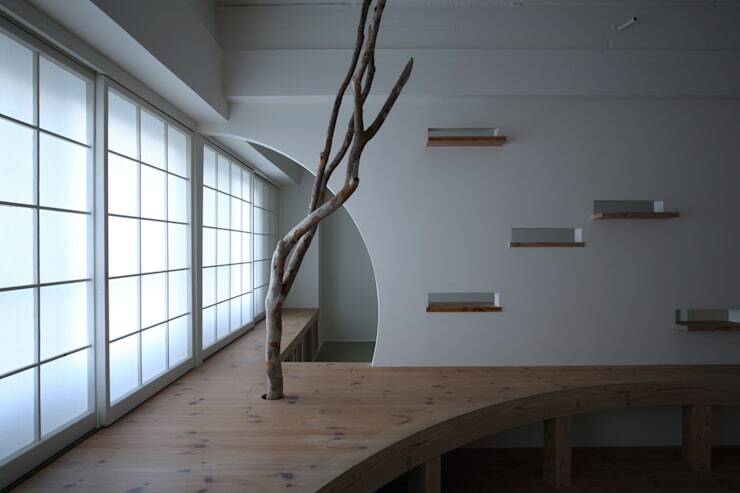 Make the most of a double-height ceiling by installing a huge indoor tree like this. It is no surprise that floor-to-ceiling glass walls blur the distinction between indoor and outdoor life. But it's rare to see it expressed as vividly as this. 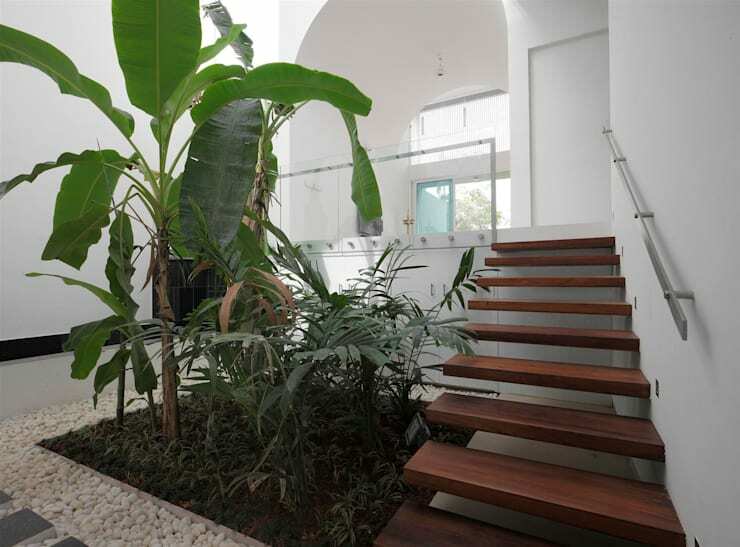 Note how the intensity of the lush outdoor greenery has been allowed to dominate the neutral indoor spaces. 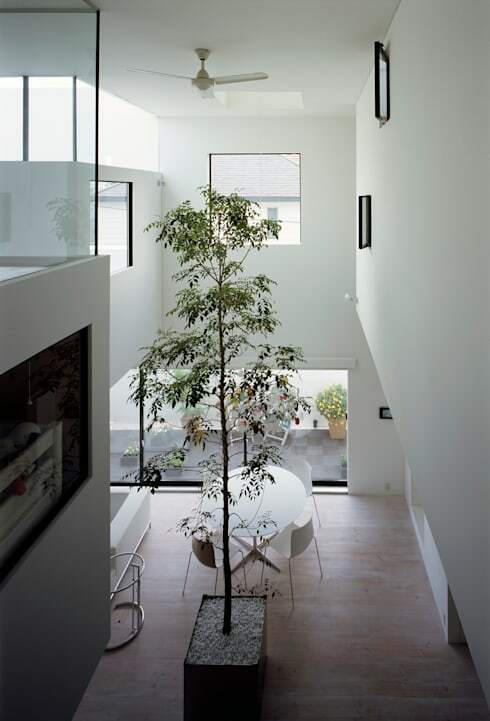 If you want to install an internal garden or courtyard, consider creating an atrium or skylight as well. The floor of natural light from above will add a whole other outdoorsy feel to the space. 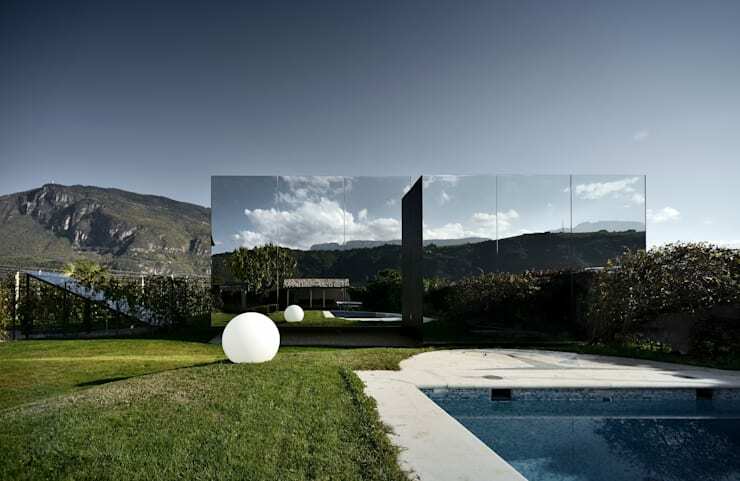 This ground-breaking reflective home comes to us courtesy of Peter Pichler Architecture. It is completely covered in mirrors that reflect the isolated rural surroundings. It is very glamorous and makes for a completely private home. Green roofs have been around for a long time. But it's only recently that the technology has really comes to make the most of all they have to offer. 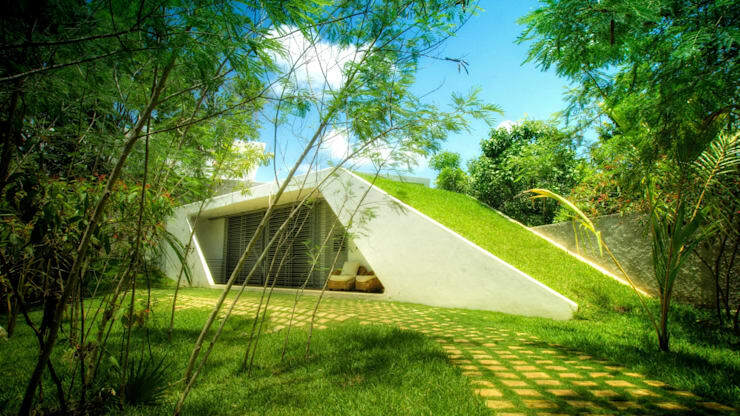 Look at how this sloping green roof has been beautifully incorporated into the landscape. When it comes to glass walls, sometimes it's better to let the shape of the window reflect the surrounding landscape. Here we have a great example of how powerfully this can be done. No matter what your budget or building site, you always have the option of incorporating natural materials. 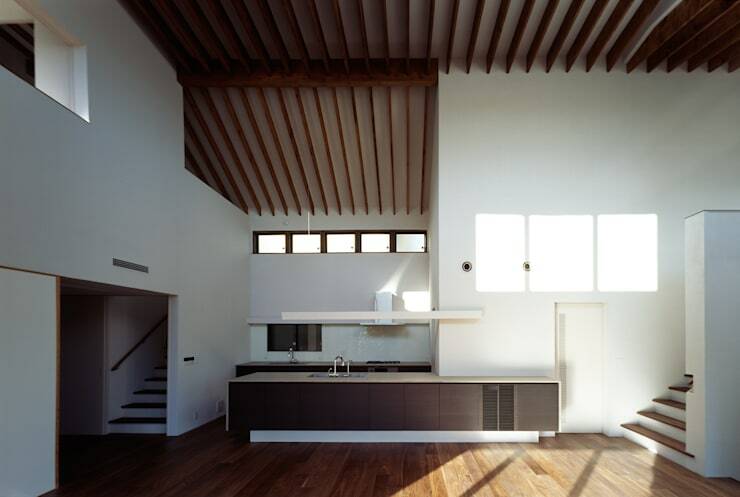 In this simple Japanese home, the wooden features and abundant sunlight have infused the space with natural beauty. If you love green interiors, you'll be interested to read Decorate with Nature: 6 eco decor ideas. Which of these dazzling natural homes is your favourite? Let us know in the comments field below!